Ziggurat Con: Skedded for June 9, It'll be the first Dungeons and Dragons convention to take place in a country at war. Named after the nearby city of Ur and "open to all allied military personnel and civilian contractors in Iraq." 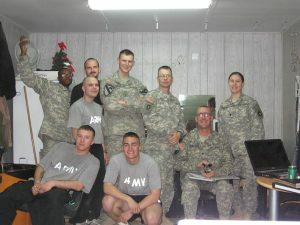 Geeks who want to support our troops can donate 20-sided die and other materials for the effort. 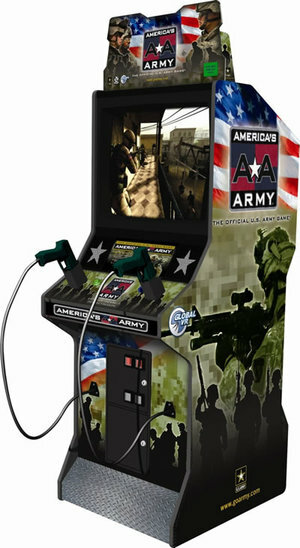 Dunno when these went up, but the Army's recruitment site GoArmy.com now has a set of Army-branded casual games available for potential enlistees looking to kill some time. 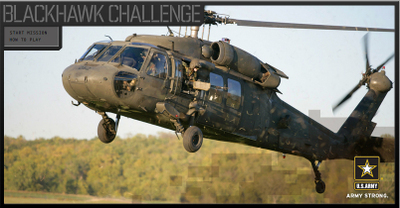 There's a very simple football game, a rifle marksmanship game, a "Patriot Missile launch simulator" and a more elaborate "Blackhawk Challenge." 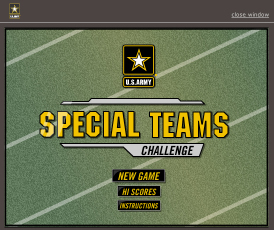 As relatively basic flash games, there's not much here akin to the much-touted realism of America's Army. These titles present a much more distant relationship to real-world affairs. The football game is an extension of the branding benefits provided by Army athletics, and the Patriot missle game is rather abstract. 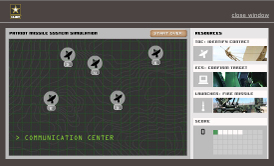 The marksmanship game, for example, involves synching up two moving lines into a crosshair. 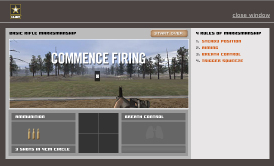 Though I found this rather fun, I certainly hope there aren't any actual firing systems that work this way. 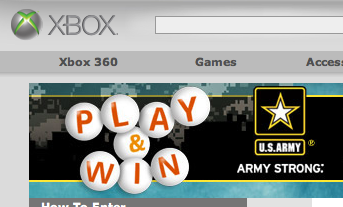 Link: GoArmy.com > Games & Downloads > Games. Reminds me of an anecdote I found for the book about military recruiters haunting arcades in the 80s, giving joystick warriors free Cokes and quarters, then telling them they had stuff just like that but cooler in the service. Interesting interview over at Guardian Gamesblog with Malcom Davis, a lecturer in Defense Studies with the Defense Studies Department of King's College London on how well military video games compare to the real thing. Which weapons from current warfare don't seem to be used in videogames in your opinion? Why do you think that is? 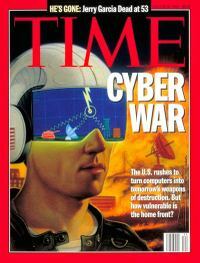 I think one type of warfare missing from computer games, which may be used in the future is the weapons of mass destruction or effect (WMD/E) including chemical, biological, radiological, nuclear and enhanced-explosive (aka CBRNE). 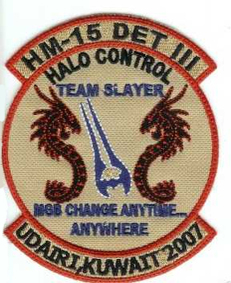 These are proliferating at an accelerating rate, and there is greater risk that rogue states - such as Iran or North Korea - with access to such capabilities would use them in future wars to offset the technological superiority of Western military forces, or potentially transfer such capabilities to non-state actors like terrorist groups. In every sim I have tried (be it on PC or XBox 360) I have yet to see this type of warfare represented, or seen friendly forces having to take precautions against its use. Interesting that these weapons haven't entered gaming, although there are of course nukes in Civilization and probably a few RTS games. Wonder if its because it would be too much of a "wild card" to the gameplay? Cuts into the notion of heroics? In the lead-up to the 1999 Kosovo Conflict, and the 2003 Iraq War, Western military information systems came under intense cyber-attacks from hackers either within the Serb and Iraqi militaries, or contracted by their respective governments. The Chinese and the Taiwanese regularly engage in cyberwarfare exchanges across the Taiwanese Strait. China has 'People's Information Warfare Battalions' whose sole job it is to wage cyberwar against China's opponents. 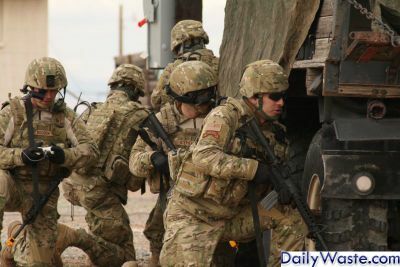 Cyberwar is going to be a key aspect of future conflicts as we are information-dependent and an enemy, which may not be so information dependent, can use cyberwar to launch strategic attacks on this opponent's military and society. Now that would be an interesting game, although it wouldn't really allow for the macho cinematics of most military titles. Link: "What is missing is the chaos of battle": what a military expert thinks about modern combat games from Guardian Unlimited: Gamesblog.